Five distinguished scientists and conservationists from Canada, Australia, Russia, and the United Kingdom are the 2015 recipients of the Pew fellowship in marine conservation. The fellowships will support research to improve ocean conservation and management, including work to investigate the impact of ocean noise on marine life, a study to identify factors that help maintain coral reef bright spots, research to better protect whales and dolphins in the Russian Pacific, a new effort to encourage bycatch reduction, and a collaborative project with Arctic Inuit to establish an artisanal fisheries research program. For nearly 25 years, the Pew Fellows Program in Marine Conservation has provided world-class ocean scientists and conservationists with the chance to address some of the most critical challenges facing the world's oceans. It has awarded 140 fellowships to individuals from 32 countries since 1996. The member of our project Olga Filatova has been named one of Pew Marine Fellows. Olga has studied cetaceans in the area for 15 years with Far East Russia Orca Project. She received her Ph.D. from Moscow State University and is a research fellow at the university’s Faculty of Biology. 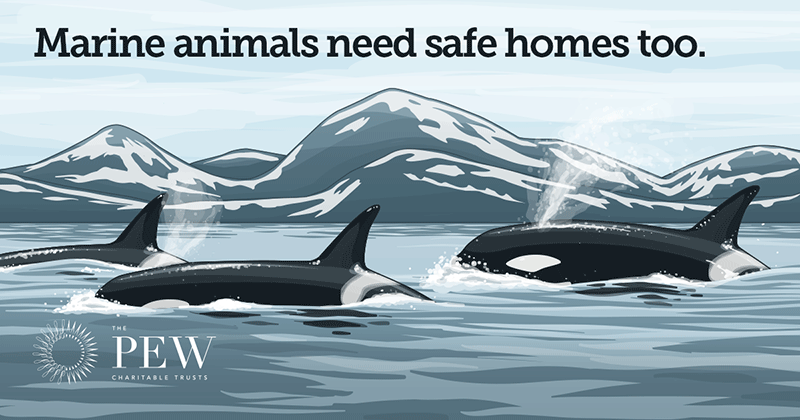 She has published several studies on the acoustic communication of killer whales and led the development of a scientific research plan for the Russian Cetacean Habitat Project funded by the Whale and Dolphin Conservation Critical Habitat Program. Filatova is chair of the orca working group of the Russian Marine Mammal Council and received a Marie Curie Fellowship from the University of St. Andrews in the United Kingdom to study the evolution of orca sounds. Through her project supported by Pew Fellowship Olga will seek to identify important foraging and breeding areas and any places in the region used to socialize or raise calves. All whales, dolphins, and porpoises—also called cetaceans—move across large areas of ocean, making it difficult to protect their entire range. Instead, conservation efforts focus on critical habitat essential for their survival. Whales and their habitat in the Russian Pacific are no different, but they are increasingly threatened by industrial activities, severe overfishing, and hunting and live capturing of some smaller species, such as beluga and orcas. To better understand the Russian Far East seas, Olga Filatova is using her fellowship to provide a more complete picture of critical habitat for a number of cetacean species, including as orcas, humpback and Baird’s beaked whales, and North Pacific right and sperm whales. She will also investigate the distribution, abundance, and population structure of various species using surveys, photo and acoustic identification, behavioral observations, and genetic analysis. The new information she gathers with provide officials with documentation on rare and endangered species of marine mammals that could lead to cetacean protected areas.